Black Borsalino hats have always been the gold standard for Jews in the Chabad Lubavitch sect and among yeshiva students. According to an article in yesterday's New York Times, these fixtures in the orthodox world have been discovered by hip-hop artists and women looking for a new fashion accessory. 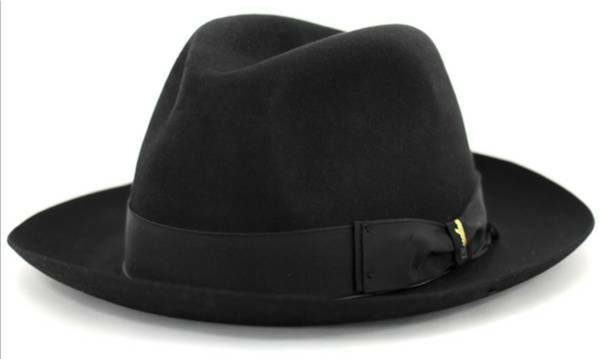 SPOTTING a Borsalino, a black wide-brimmed felt fedora, in the traditionally Jewish section of Williamsburg, Brooklyn, is no strange thing. What was surprising was the wearer: Theophilus London, a hip-hop artist from Trinidad. “This one is from the Jewish store,” Mr. London said, motioning toward southern Williamsburg, where the haredi still outnumber the hipsters. While the tradition of Jews wearing black headgear goes back ages (it was a sign of mourning for the loss of Jerusalem), it wasn’t until the 1960s that ultra-Orthodox yeshiva students, as well as Chabad-Lubavitch Jews, began wearing the black fedora to distinguish themselves.